Компактная программа для чтения электронных документов (книг). Поддерживает форматы DjVu, PDF и TIFF. Для чтения нескольких книг предусмотрены отдельные вкладки с возможностью поиска по каждой из них, а система закладок позволяет вернуться к последней прочитанной странице в любой момент времени. Кроме просмотра, возможна распечатка документа. Are you tired from many viewers one for each document? Do you want to have, one program for all your technical documentations, scientific books and so on? Do you want to have program, which fast opens files, fast loads pages and fast renders page to screen? And all of this in free software? View all most popular documents formats by one program. 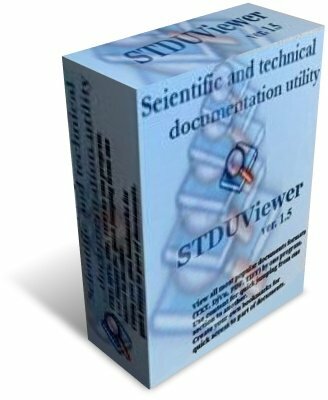 STDU Viewer is a document viewer for multiple file formats. The goal of this software is to replace the multiple document viewers with a single simple application. STDU Viewer supports TXT, TIFF, PDF and DjVu documents format. This is most popular formats for scientific and technical documentation. Use content for quick jumping from one section to another. STDU Viewer gives the possibility to show the content of documents for quick jumping from one section to another. You can create your own named bookmarks for easy access to part of document.